Blue-eyed? Acer launches a new, handy 14 inch notebook from the TimelineX range called Aspire 4830TG. The notebook, dressed in ice blue is suitable for routine work in the office, at home and on the move. It bids a lot of power thanks to the GT 540M graphics and Intel i5 CPU when it's needed. However, not always, as the following review will show. 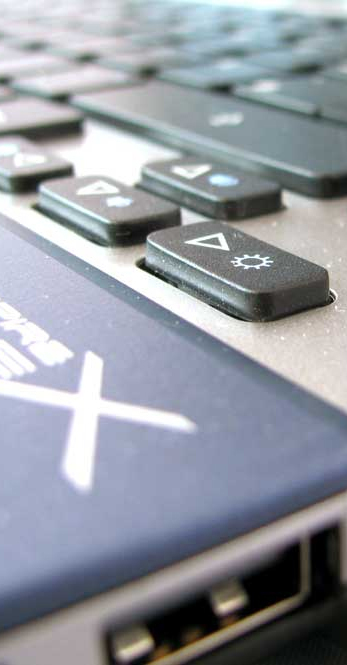 The Aspire 4830TG is another laptop from the TimelineX range in a rather unusual 14 inch size. 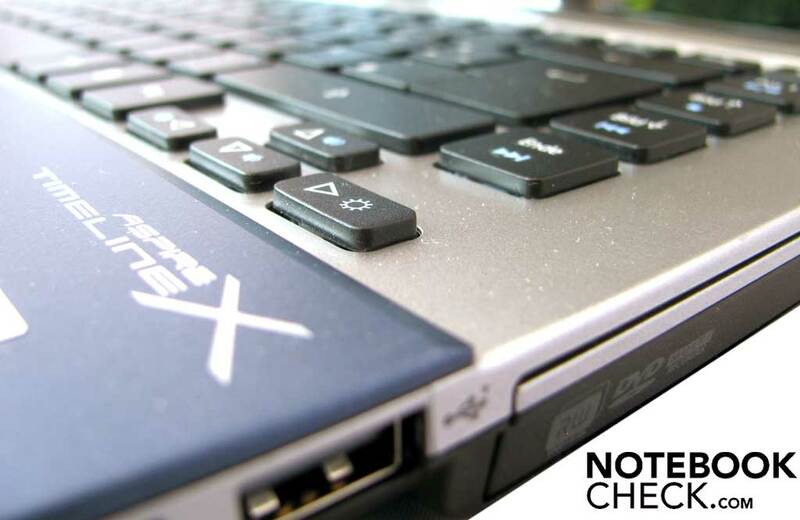 The TimelineX series' notebooks are also available in 13.3 and 15.6 inches. 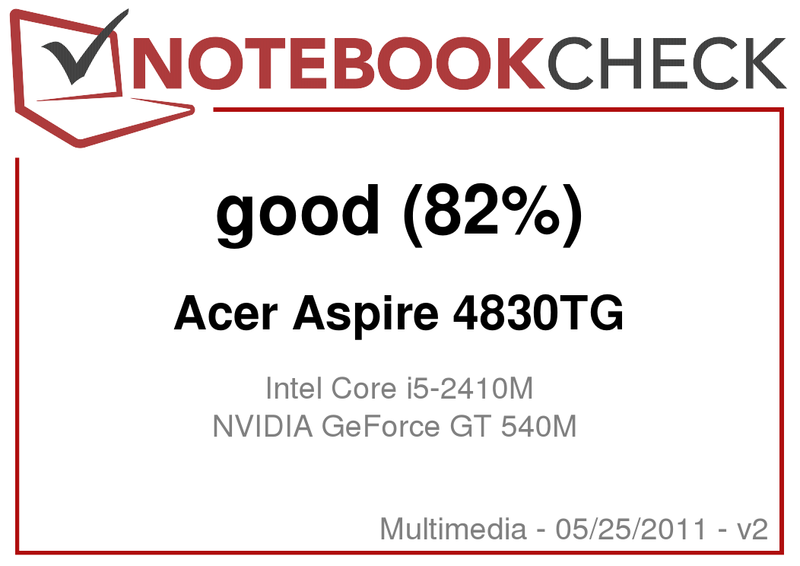 The review about the 15.6 inch Aspire 5830TG can be found here. The Aspire 4830TG has a high-gloss display with a screen diagonal of 14 inches and features a WXGA resolution (1366x768 pixels). The model is very light with a weight of 2.1 kg and is perfect for taking along due to dimensions of 22.6-29.9x339x239 mm. The battery also has a fairly long runtime. The test device, by courtesy of Acer, is equipped with an Intel Core i5 2410M, a 4 GB DDR RAM, a 750 GB hard disk and a dedicated graphics card from Nvidia. Acer offers this configuration for a recommended price of 799 euros. 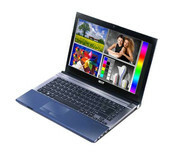 However, the laptop is available in various online shops for about 50 euros less. The looks chosen for the Aspire 4830TG is very modern, yet very reserved. The color combination of ice blue and black makes a very elegant impression and looks tasteful. The matt case surfaces are made of high quality plastic and the lid is even of aluminum. Dust and fingerprints hardly stand a chance on these matt surfaces. Acer has done a good job on the Aspire 4830TG in terms of case stability and workmanship. The display lid is held by two massive display hinges, but they don't deter opening. Opening can be easily accomplished with one hand. However, the 2.1 kg light notebook doesn't topple over backwards. The lower case half is made of matt plastic and has many vents for cooling the hardware inside sufficiently. The stereo speaker openings are also located on the left and right. The built-in battery is noticed very adversely since it can't be removed. Among other things, the 2.5 inch hard disk and both SO-Dimm slots for the main memory are found underneath the black case half. The other hardware, such as processor and graphics, are only visible when all screws are removed. 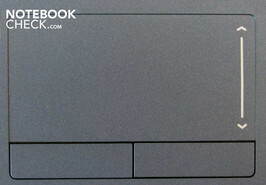 The notebook's interfaces are distributed on the case's right and left. On the right, you'll find two USB 2.0 ports and the audio sockets. The installed optical drive, in this case a DVD burner, is also located here. The other side has more interfaces. A USB 3.0 port, a VGA and HDMI out and an RJ45 LAN socket are found here. There is also a Kensington lock available in the rear area. A cardreader for SD, SDXC, MMC, MS, MS Pro and XD flash memory cards is on the front left. Acer hasn't installed any ports on the rear. The laptop doesn't have an externally accessible eSATA connection or PC card Express slot. As can be seen on the pictures, almost all ports are concentrated on the lateral front edges. You will have to reckon with annoying cables beside the notebook when they are extensively occupied. External devices, such as MP3 players or smartphones, can also be recharged in a deactivated state via the Power Off Charging function. There are several options available for connecting to a network, no matter if private, public or at work, with the Acer notebook. Two controller chips from Atheros are installed for this. There are two possibilities for connecting to a network. First, with a cable via the Gigabit LAN socket and second via WLAN standard 802.11 b/g/n. The Acer Aspire 4820TG also has Bluetooth standard 3.0 +HS. The scope of delivery is, as so often, very scanty. As usual, an adapter with a capacity of 90 watts belongs to the laptop as well as a few manuals. The pre-installed operating system and various applications aren't supplied as data media for the Acer laptop. They are on a hidden recovery partition. The Taiwanese company bids quite a few accessories especially for TimelineX range in the Acer Store. What Acer has saved in accessories is "compensated" by the amount of pre-installed software supplies. Among other programs, you'll find Microsoft Office 2010 Starter and a number of freeware and trial programs on the Aspire 4830TG's hard disk. That also has a dark side. The boot process needs an extremely long time and taxes the system. Our recommendation would be to remove all superfluous programs. However, the programs turn up again after a recovery, which sets the laptop back to its state of delivery. Acer grants a warranty period of 24 months for all its products. It includes a pick up & return service and a 12 month international travelers warranty (ITW). Acer offers an optional warranty extension to 36 or 48 months. This service costs between 79 and 179 euros. 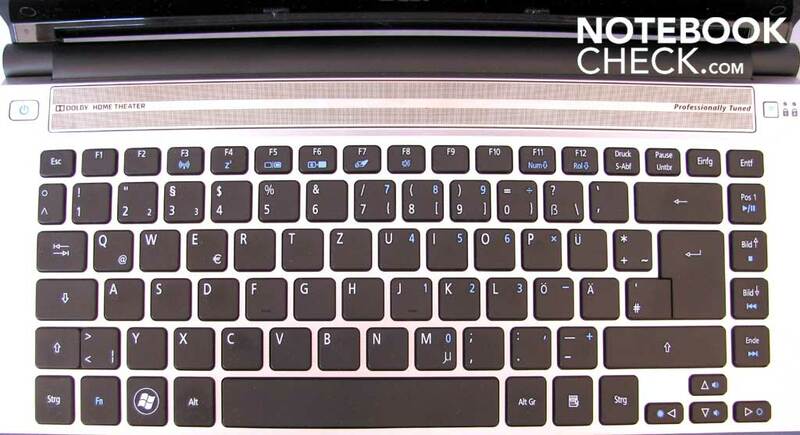 A high quality, single key layout is used in the Acer Aspire 4830TG. Almost all keys practically "stand alone" and are surprisingly comfortable to use. 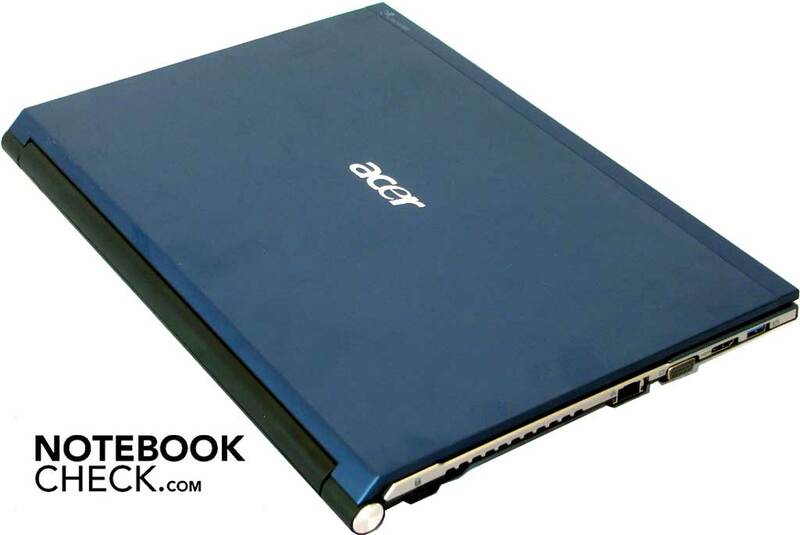 This layout isn't new for Acer, and has been previously used in the premium range, Aspire Ethos. The keyboard however has two minor beauty flaws, if you like. Two keys are arranged as a duo. 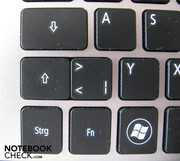 One is the "enter" and "#", and the other is the left shift key and "</>". They don't have a gap. This can quickly lead to typos because the enter key and the shift key are among the keys used most. The arrow keys also turn out quite small in this layout. The touchpad is installed a bit toward the left in front of the keyboard and the color has been adapted to the rest of the case. The touchpad responds quite fast and supports multi-touch as well as multi-finger gestures. Additionally, it has a horizontal and vertical scroll field. There are two separated mouse keys in front of the touchpad. You can disable the touchpad unceremoniously via the key combination FN + F7. That's particularly practical especially during gaming or writing emails. A repeated pressing of this combination enables the touchpad again. A high-gloss screen with a 16:9 format is used in the Acer Aspire 4830TG. It can reproduce a maximum resolution of 1366x768 pixels (WXGA). Besides the installed display, additional monitors can also be connected. The laptop has both an analog video (VGA) and a HDMI port with 1.4a support for this. 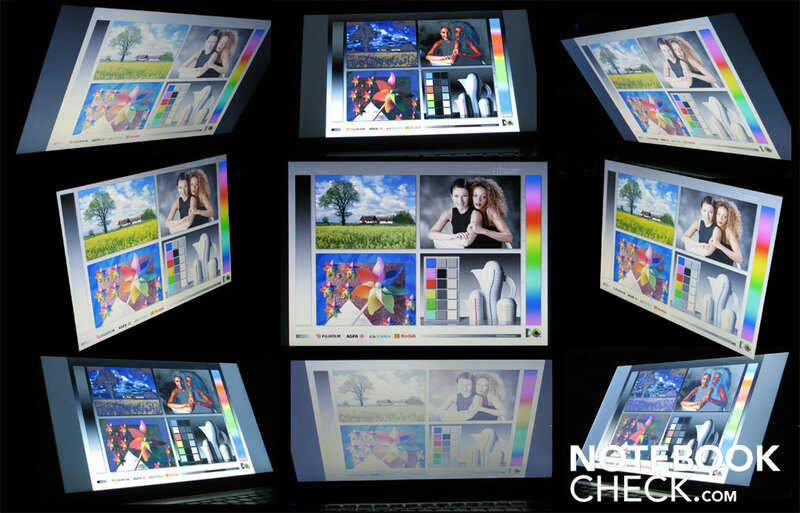 A higher resolution is possible with external displays. The installed screen places itself in a good midfield of current multimedia notebooks with a maximum brightness of 246 cd/m2. The illumination is also more than satisfactory with a high 91%. The image contrast isn't quite as good. A high black value of 1.53 cd/m2 results in an only mediocre maximum image contrast of 156:1. According to the specifications, the 14 inch sized glare display is almost 1.5 centimeters smaller than a 15 inch standard display. However, it doesn't have to hide. It looks a lot larger subjectively. The display is backlit by two LED bars (one above, the other below), which is noticed very adversely especially on dark pictures and in dark video sequences. The light can be seen clearly at the edges on a dark background (bleeding). 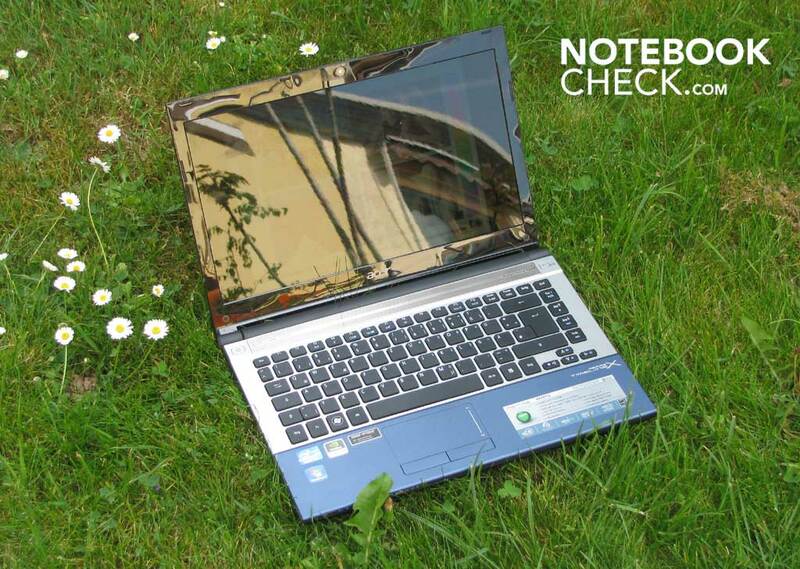 You'll have a hard time with the Acer Aspire 4830TG's display in the beer garden or in your garden. The 16:9 display is very glossy and reflects a lot of the surroundings. Seeing yourself is inevitable. The display content is almost completely illegible when the sun shined directly onto the 14 inch display. A bright ceiling or floor light indoors already causes unwanted, visible reflections on the screen. The given viewing angle stability is sufficient. The display content is still well visible even in narrow viewing angles horizontally. The normal display content quickly is presented as an inverted image vertically. The display content is still sufficiently stable for three viewers sitting in front of the screen. However, they should be seated at the same height. 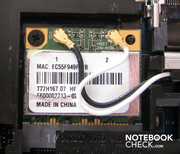 An Intel CPU, model Core i5 2410M, does its work inside the Acer Aspire 4830TG. 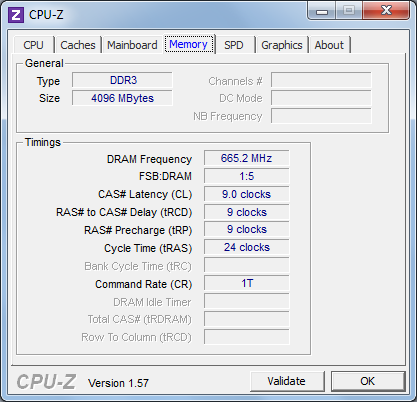 It is standardly clocked with 2.3 GHz. The processor can temporarily be overclocked up to 2.9 GHz thanks to the Turbo Boost 2.0 technology. 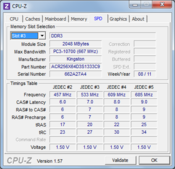 However, the user doesn't have an influence on the overclocking because the CPU does it automatically. 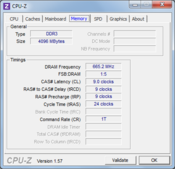 Depending on the requirements, single CPU cores are clocked up to 2.9 GHz. The Intel Core i5 2410M has a 3 MB cache and is manufactured in a 32 nm technology. 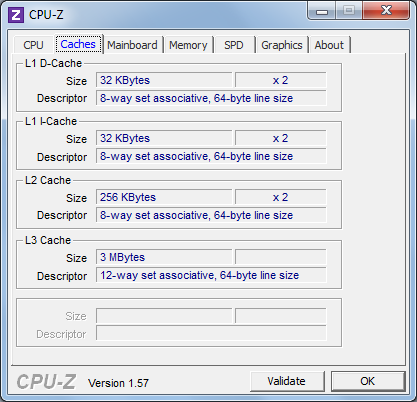 Another feature of the CPU is the Hyper Threading technology. It supplies both physical computing cores with two additional, virtual cores. 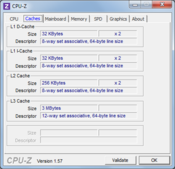 This means that the CPU can process four threads at the same time. 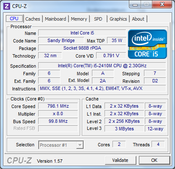 Intel has also implanted its HD-Graphics 3000 into the Core i5 2410M. This graphics has been designed for routine applications and is, in comparison to older onboard graphics, quite fast and can even be used for gaming or multimedia applications. The incorporated HD graphics is especially conceived for mobile use. It increases the battery life considerably in contrast to use with the high performance graphics from Nvidia. In addition to the built-in Intel graphics card, the Aspire 4830TG also has a dedicated graphics card from nVidia. The graphics card GPU, nVidia GeForce GT 540M, is based on the GF108 core. 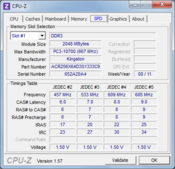 The nVidia card can access 2 GB of DDR3 memory, which works with 900 MHz. 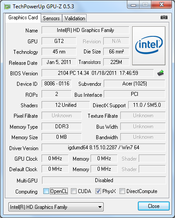 Before the actual application or game is started, the nVidia Optimus software automatically determines which of the graphics is to be enabled. Alternatively, the assignment can also be determined manually via the right mouse key and selecting the graphics processor. 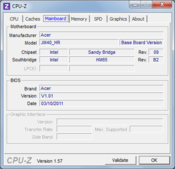 From then on, the system selects the according GPU depending on the task. The graphics GPU couldn't be assigned in a few programs. Neither with the nVidia Optimus software nor via the right mouse key. There is no hardware-specific switch or an according key combination on the device. 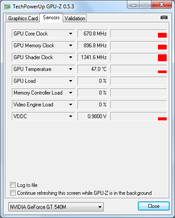 Nor is there a function for setting up the GPU selection in the laptop's BIOS. Deactivating Intel's HD graphics so that only the nVidia graphics is available wasn't accepted by the operating system, Windows 7 Home Premium. 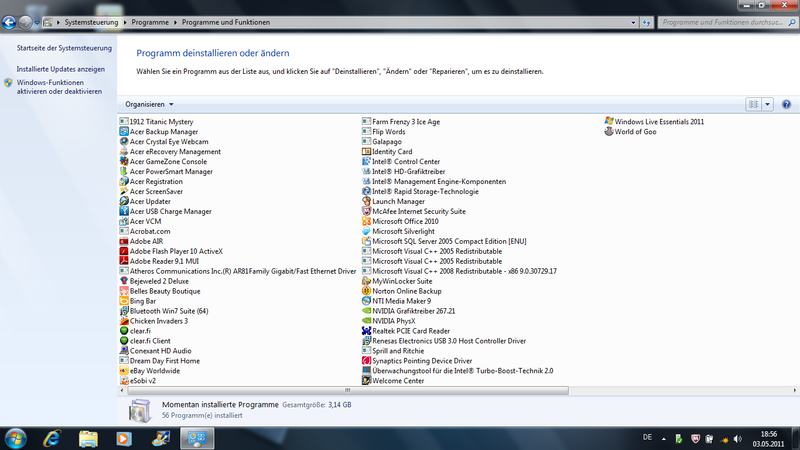 Windows reported that no graphics card was installed. The strong Intel CPU and the dedicated nVidia graphics card are noticed in the benchmarks. The CPU, clocked with 2.3 GHz, is convincing in all areas in the benchmarks where CPU power is required and is in the upper midfield. 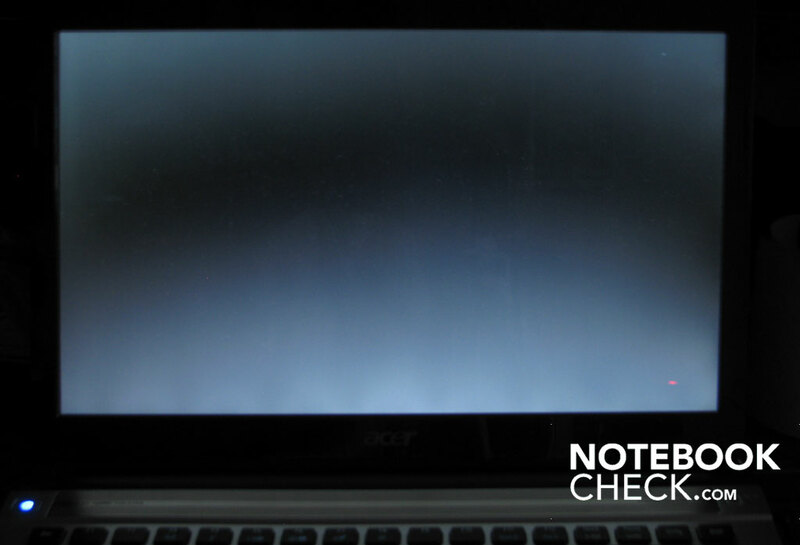 The 4830TG doesn't have to shun a direct comparison with other notebooks that have the same configuration, for example the 15.6-inch model of the same Aspire range. This is also true for competition models, such as the ASUS A53SV or Medion Akoya P6631. 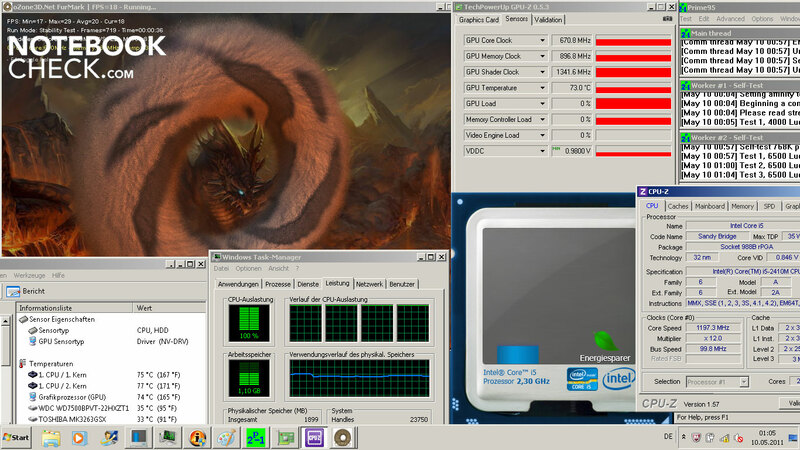 The laptop achieves 7976 points in Cinebench R10 which runs a multi-thread calculation (64 bit). PCMark Vantage's score isn't significant because this benchmark program absolutely didn't want to start with the nVidia graphics. Nevertheless, the good 5980 points prove that the Intel graphics work quite fast. 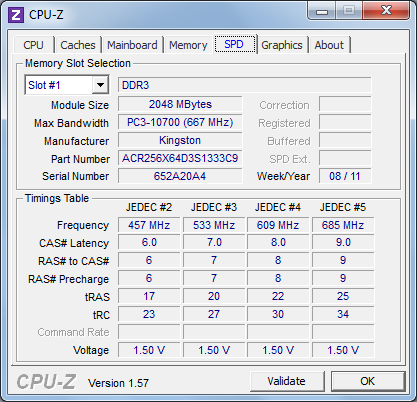 Microsoft Windows 7 Home Premium 64 bit's performance index is in a very acceptable range with 5.9. The Intel Core i5 2410M even reaches an index of 6.9 here. As so often, the system is slowed down by the slow hard disk and the slow memory installed. 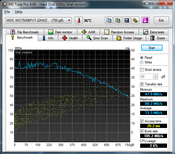 The following benchmarks show how well the nVidia graphics work in the Aspire 4830M. However, the rates weren't determined in immediate sequence. The graphics card and the CPU had enough time to cool down in between the tests. But how does the hardware react when it is put under permanent load? Will the CPU reduce its speed (throttling) or do the benchmarks achieve approximately the same results? The laptop, or actually the CPU and nVidia GPU were really heated up for several hours. Consequently, the system noise was very audible and the temperatures on the side vents increased considerably. We however didn't even have to wait for an hour to get a result. We observed a throttling of the CPU down to ~1.2 GHz after only 36 minutes in our stress test of CPU and GPU. 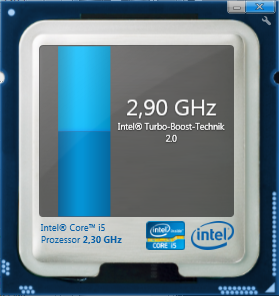 It's striking that the Intel tool for displaying Turbo Boost no longer showed any spikes. It didn't show anything at all. 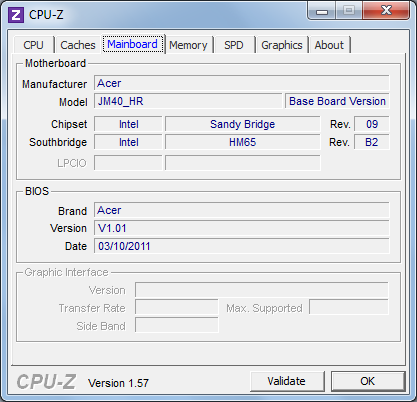 However, the user is made to believe that the CPU is still running with 2.3 GHz. The Intel CPU's core temperatures don't rise into critical ranges, though. We aborted after 2 hours and ran 3DMark06 again. It now recorded 8262 points. That is even slightly more than is reached in a cold operating state. Consequently, the observed throttling induced by extreme load won't likely have an impact on routine use. However, it can't be completely excluded in especially computing intensive games, such as Battlefield BC2. The (gaming) benchmarks that we executed were all within the expected range considering the installed hardware. Throttling wasn't indicated. A hard disk from Western Digital with a memory capacity of 750 GB serves the Acer Aspire 4830TG as mass memory. The 2.5 inch hard disk, model WD7500BPVT-22HXZT1 from the Scorpio Blue range, rotates with 5400 revolutions per minute. Thus, only an average performance is presented in the test programs. The maximum transfer rate is between 86 and 94 MB/s, depending on the test program, so nothing extraordinary. Long load times have to be expected with this kind of hard disk. 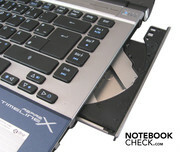 However, the hard disk is easily removed and replaced by a hybrid disk or a solid state drive (SSD). 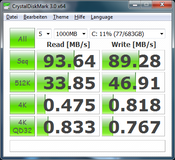 Such a disk would be beneficial for the Aspire 4830TG as well as its write/read performance. The Acer notebook can also be used for games. Graphic intensive games, such as StarCraft2, Mafia 2 or Call of Duty: Black Ops still run smoothly in a medium resolution. The dedicated graphics comes to its limits in higher resolutions. 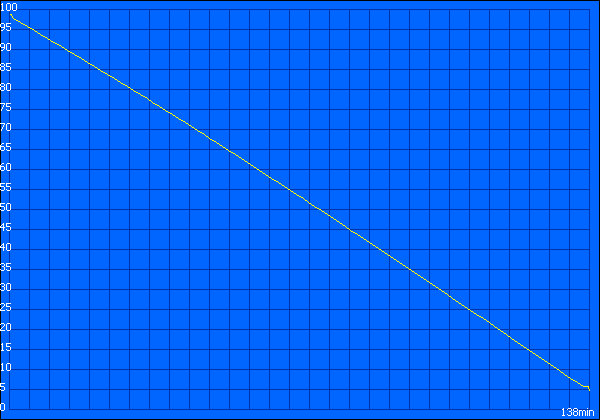 The frame rate sinks to under 50 fps, which is clearly noticed in fast gaming sequences. Games are simply no fun with that. The determined graphics performance is within an acceptable range and meets all expectations. A look at our GT 540M database shows that the differences are marginal. As noticed correctly in the previously reviewed 15.6 inch model, the GT 540M is also generally suitable for more current games. It is recommendable to use the processor's HD graphics when you're on the move. Not quite as graphic-heavy games also still run smoothly on the incorporated graphics (Fifa). The battery runtime is reduced when the nVidia graphics is used and the Aspire 4830TG has to go back to the mains after fairly short gaming fun. The Acer Aspire 4830TG is agreeably quiet during routine work. Merely a quiet noise was perceptible in applications that only ran with the built-in Intel graphics. The level increased audibly with the dedicated graphics. It also got louder while playing DVD media. This time, the troublemaker was the installed optical drive and not the CPU or GPU. The DVD drive emits an extremely, partly unpleasant high noise when it's used. However, the noise quickly fades in the room when you move away from the laptop. Persons with a very sensitive ear won't be happy with it, though. The cooling system's fans are also only slightly louder during full load. We could determine a noise of 40.6 dB(A) at the peak. 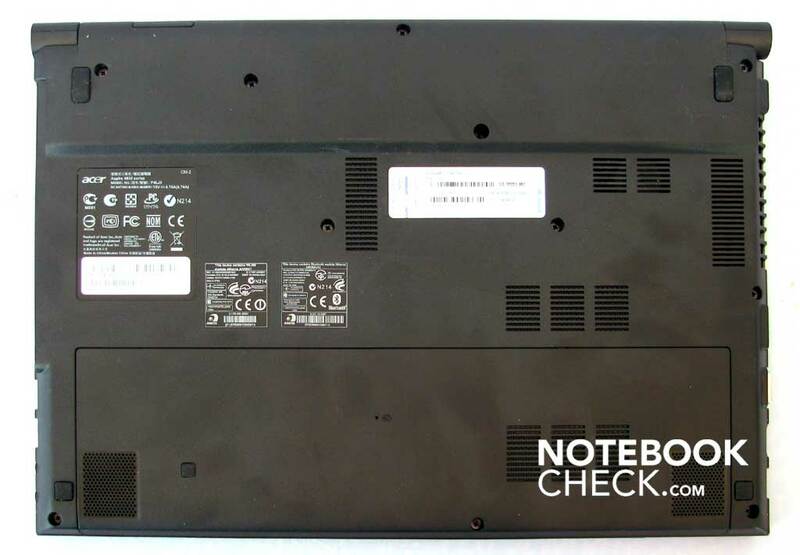 The CPU's and GPU's waste heat is discharged quickly and efficiently out of the case with the new fan design that is used in the Acer Aspire 4830TG. There is a large vent on the left for this. The fan blows out the warm air here. As described above, with up to 40.6 dB(A). The exhausted air gets noticeably warmer during load than during only surfing or writing texts. The temperatures on the case's bottom increase under load and can get unpleasant for the lap when the notebook is placed there. But not only the laptop got warmer, the 90 watt power adapter also increased to almost 42 degrees Celsius. (+) The average temperature for the upper side under maximal load is 29.5 °C / 85 F, compared to the average of 30.9 °C / 88 F for the devices in the class Multimedia. (+) The maximum temperature on the upper side is 33.5 °C / 92 F, compared to the average of 36.5 °C / 98 F, ranging from 21.1 to 71 °C for the class Multimedia. (+) In idle usage, the average temperature for the upper side is 24.6 °C / 76 F, compared to the device average of 30.9 °C / 88 F.
(-) The average temperature of the palmrest area of similar devices was 29.1 °C / 84.4 F (-3.2 °C / -5.7 F). 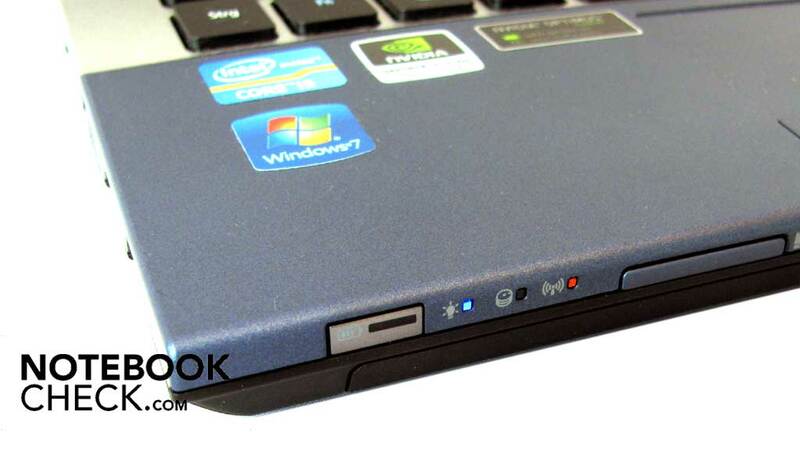 The sound system consists of two speakers that Acer has placed on the notebook's bottom. The rim, found between the keyboard and display, would let you await even more speakers. However, this rim on which Dolby Home Theater is also printed is only an optical enhancement. The sound system doesn't include a subwoofer. The software can't compensate this fact, either. One of the most important test criteria for a mobile device is the battery life. Notebooks have taken over the conventional desktop's rank for quite some time already. Why confine yourself to the office if you can be on the move with a laptop or even work outdoors. The Aspire 4830TG has a lithium ion battery (6 cells) with a charge capacity of 4000 mAh for mobile use. At least, this is what Everest (87BSANYO) reads out. Acer speaks of a 6000 mAh battery on its product website. This, in combination with the measured power consumption, also sooner fits to our observations. The fact that the battery is built-in and can't be removed is a drawback. Even if it can't fall down or be forgotten somewhere, the user can't exchange it, either. 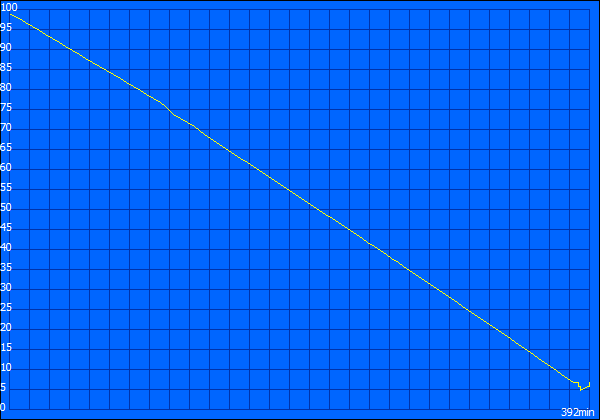 The lithium ion battery had to show how long it can last in various tests. The battery lasted 7 hours and 29 minutes in idle mode when WLAN / Bluetooth are disabled. The display brightness was set to its lowest level. That may sound good, but who wants to use their notebook this way? So, another test with normal surf behavior was simulated. The battery runtime could still convince with 6 hours and 32 minutes. This isn't quite a whole work day, but a good start. The battery ran for 4 hours and 16 minutes in DVD rendering with disabled WLAN and Bluetooth modules. That should be enough for two cinema movies. The battery life was a bit shorter in load and maximum display brightness. The laptop was shut down automatically after 2 hours and 18 minutes (BatteryEater Classic Test) and had to go back to the mains. Recharging took 163 minutes on average. The power consumption is as expected on a low level in standby mode and in a deactivated state. The consumption is slightly higher than what current Sandy Bridge laptops achieve in idle mode. The installed hardware's potential is very evident in load. The long battery life of up to 6.5 hours makes the Acer Aspire 4830TG to a perfect travel companion. Moreover, it is fairly handy with a weight of only 2.1 kg and the small size. The 14 inch display has a resolution of 1366x768 pixels, which is more than sufficient for this screen. However, the LED backlit HD CineCrystal High Brightness display reflects a lot of the surroundings. The person working on the device is also frequently mirrored in the display. You should always look for a shady place for outdoor use. The display doesn't forgive direct sunlight. Acer has proved to have a good eye as it selected the hardware. The Core i5 CPU, which is standardly clocked with 2.3 GHz, is automatically overclocked up to 2.9 GHz when needed via the Turbo Boost 2.0 technology. 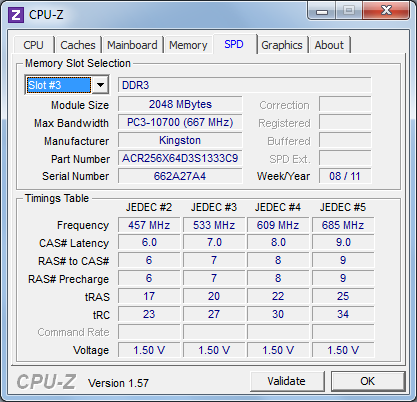 The 4 GB RAM is fully sufficient for the system. The 750 GB hard disk has an equally good size. As to the graphics, Acer doesn't only rely on the processor's HD graphics. 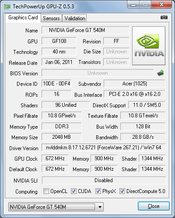 There is also a GeForce GT 540M from nVidia in the notebook as a dedicated graphics, which is automatically enabled in games or applications. In the opinion of the author, the recommended retail price of 799 euros is more than justified for this configuration and performance. 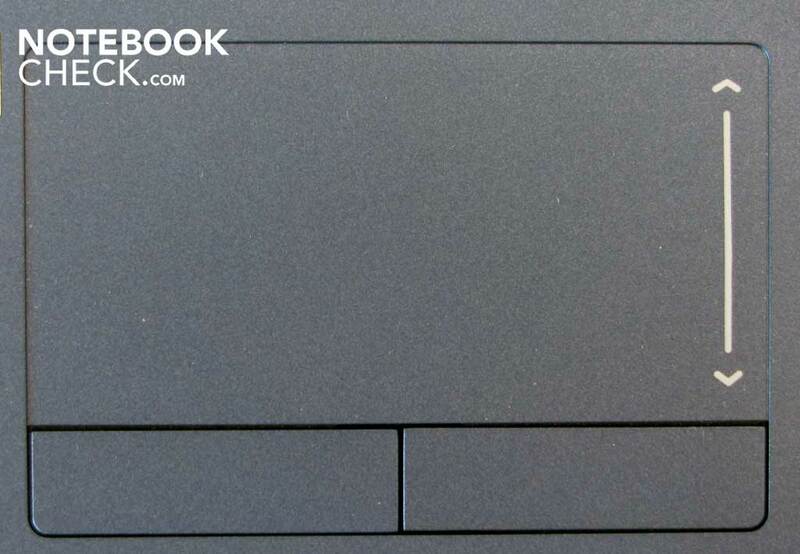 The notebook is very slim. The Acer laptop even has a DVD burner. The 14 inch notebook's bottom. The installed hard disk is decoupled from the case by rings. Password switch for the hard disk? 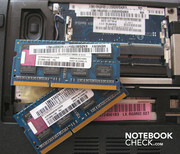 The Acer Aspire 4830TG has two SO-DIMM slots. The hinge makes a very solid impression. 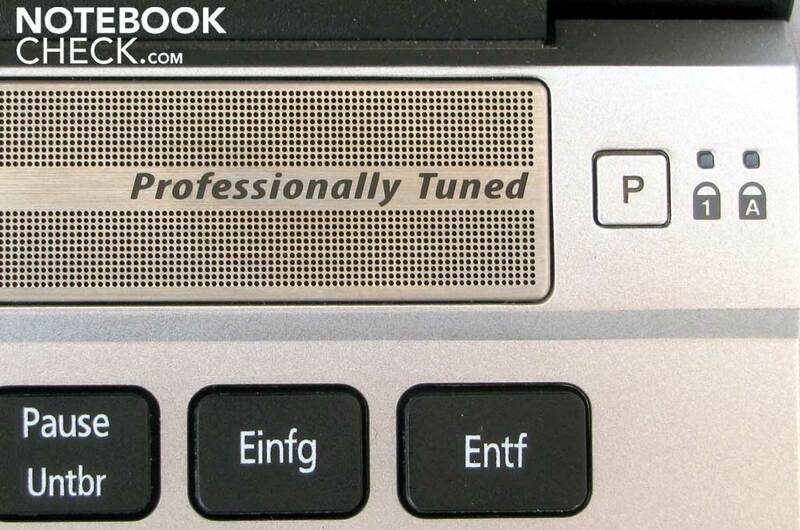 The laptop saves even more battery performance with the "P" key. Three colored LEDs indicate a few of the notebook's activities. Dolby Home Theater is supposed to deliver a good sound. The single keys protrude good 3 mm out of the case. "Two in One" – typos happen quickly. 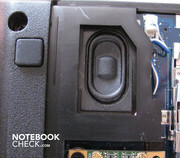 The Acer Aspire 4830TG's touchpad. Acer Aspire 4830TG's power adapter. The Acer Aspire 4830TG has a very handy size and is light. The 14 inch display looks bigger than expected. A matt display would have made the 4830TG's mobility perfect. The fairly long battery life in connection with the given performance reserves. 14 incher's are mostly found in the business field. This device category has almost been completely replaced by more compact 13 inchers in the consumer market. Potential alternatives: Samsung QX412, Sony CA1S1, HP Envy 14.